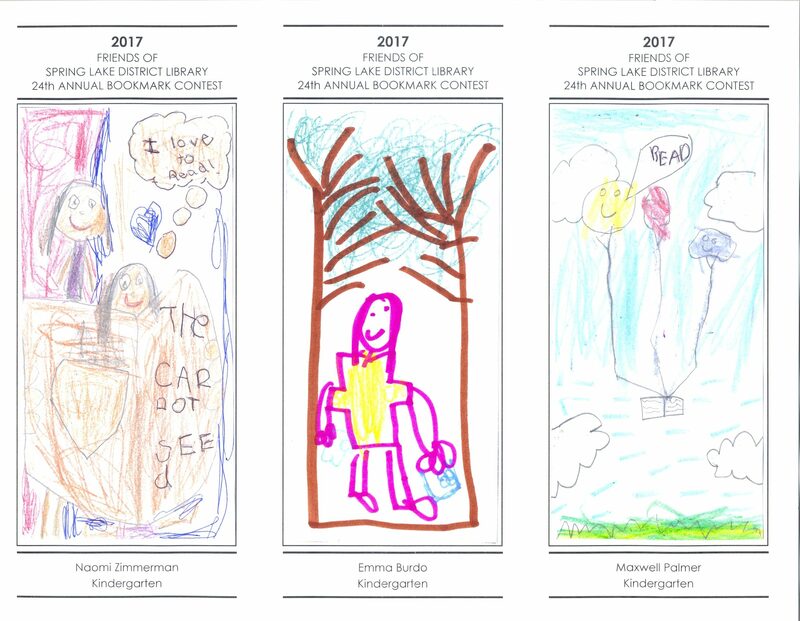 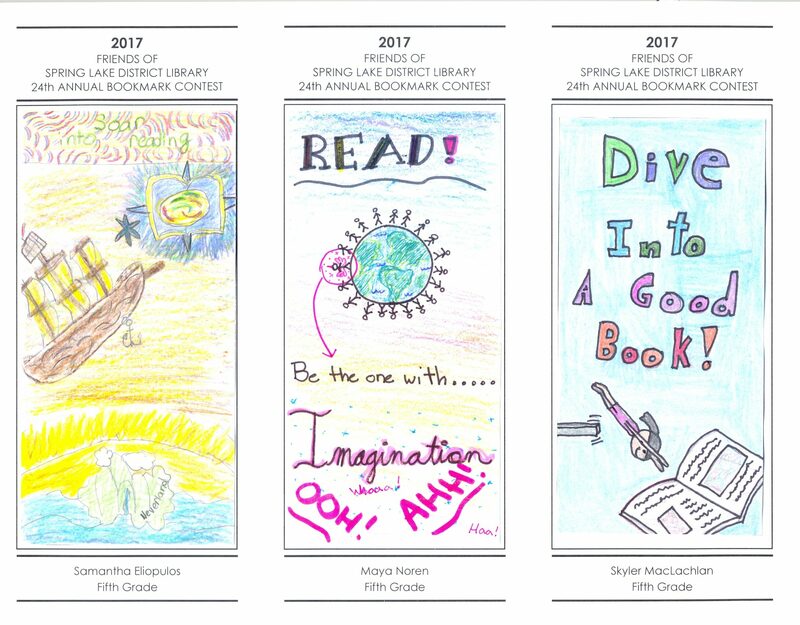 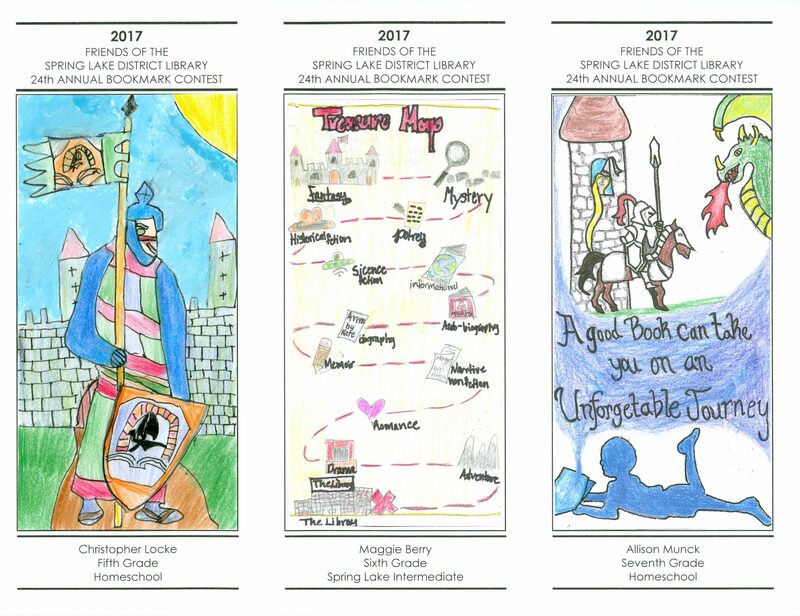 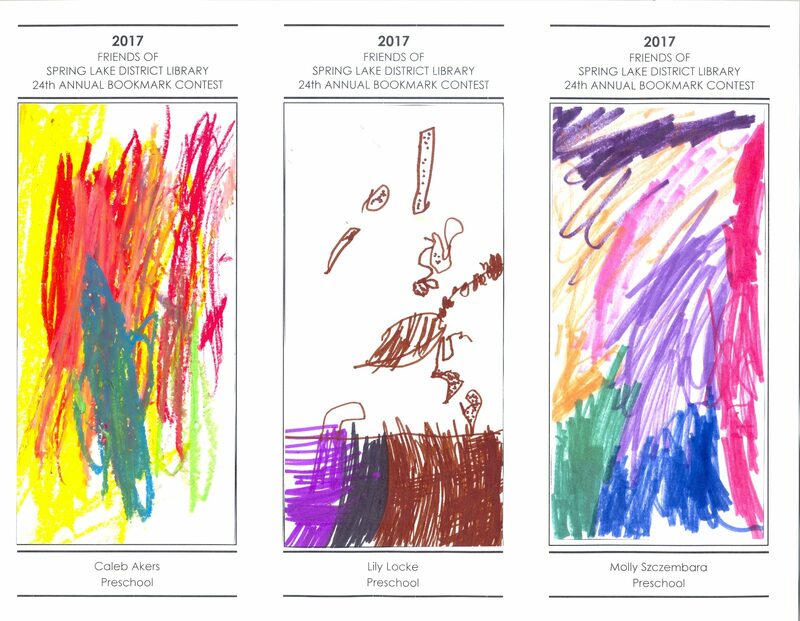 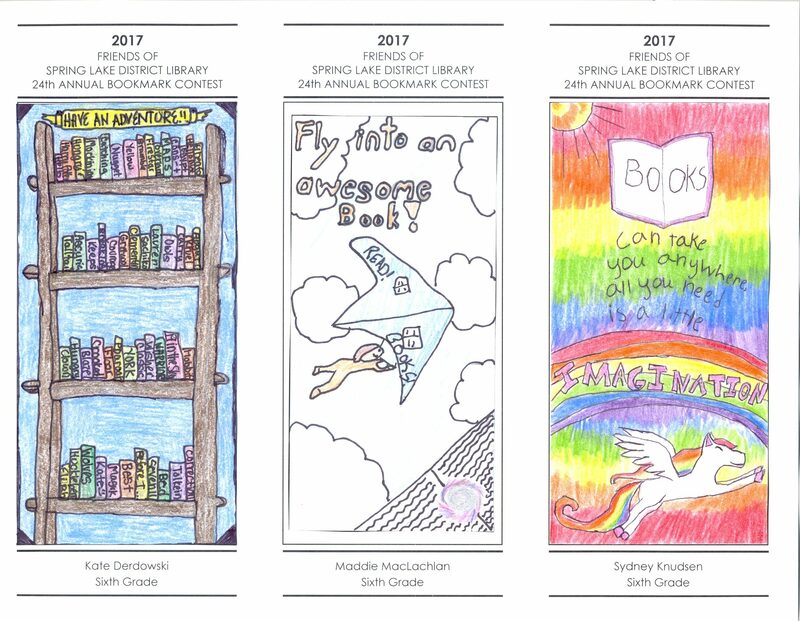 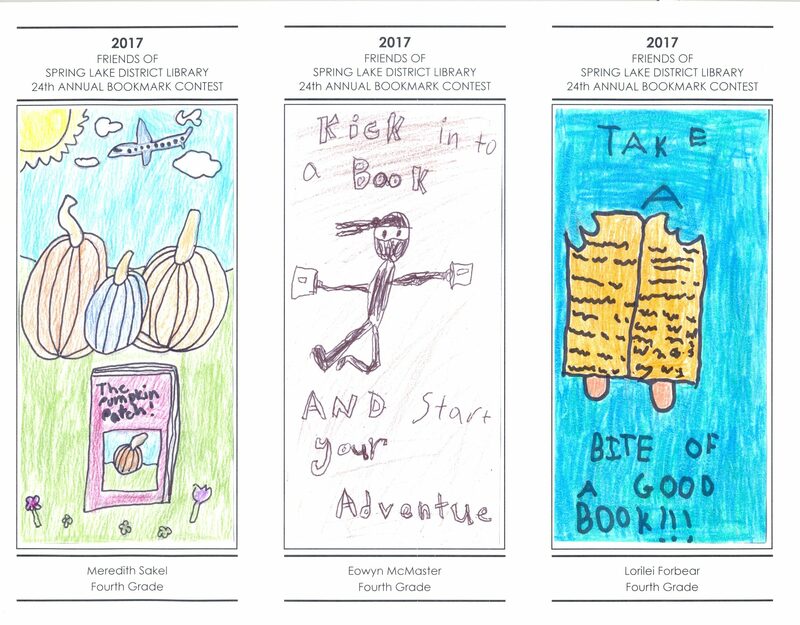 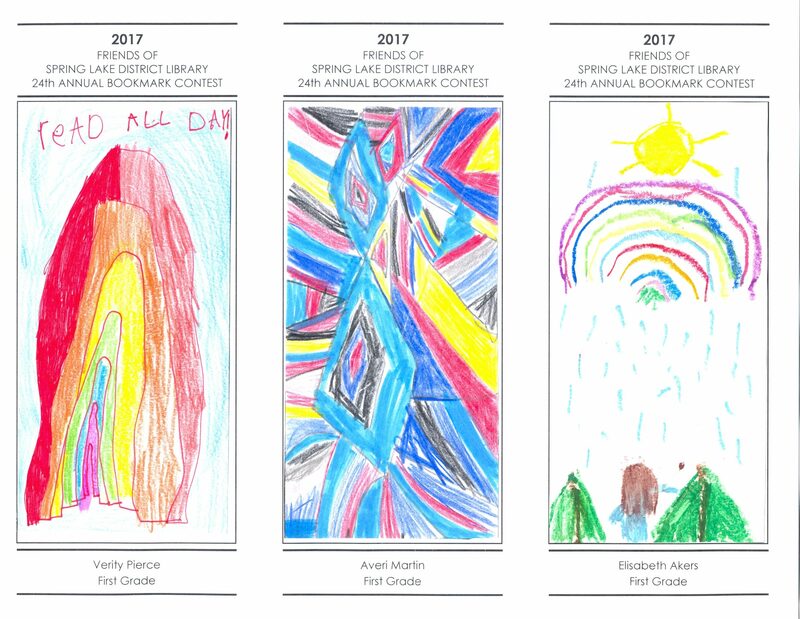 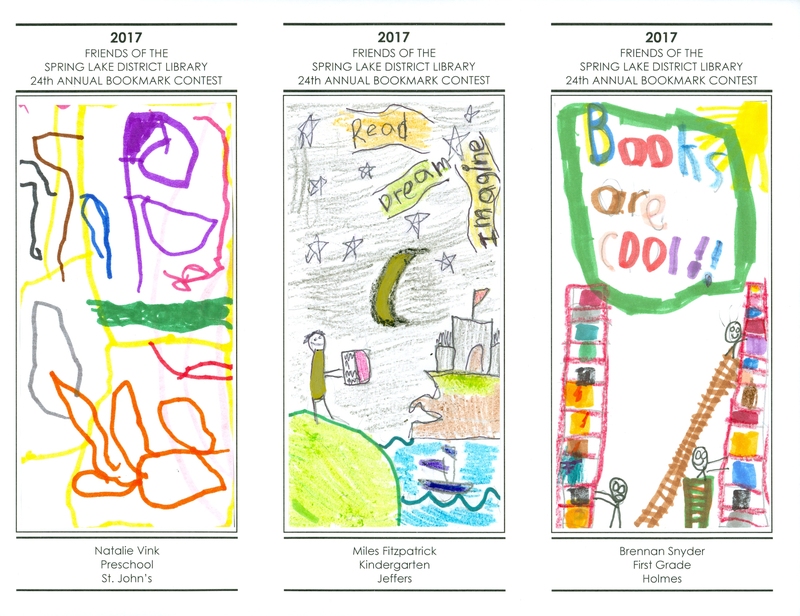 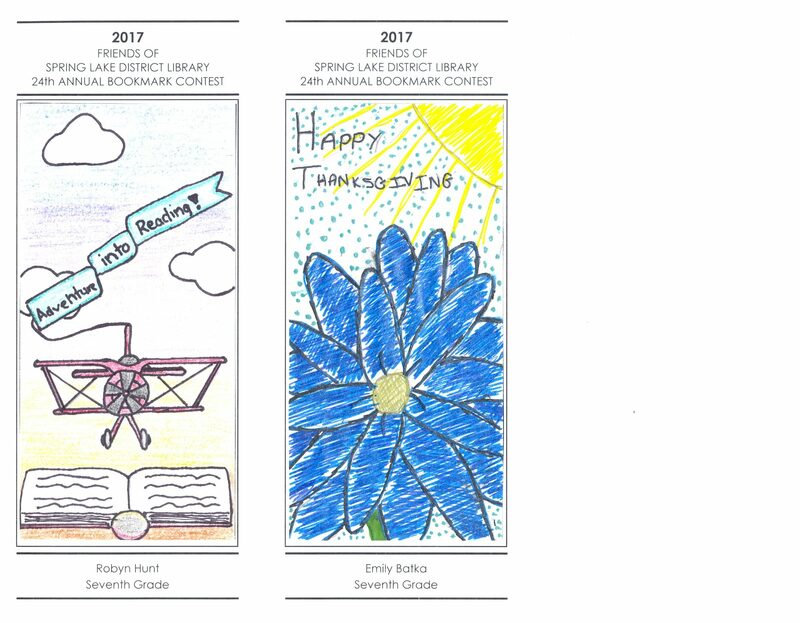 The Friends of the Spring Lake District Library sponsored the 24th annual Kids’ Bookmark Contest in October 2017. 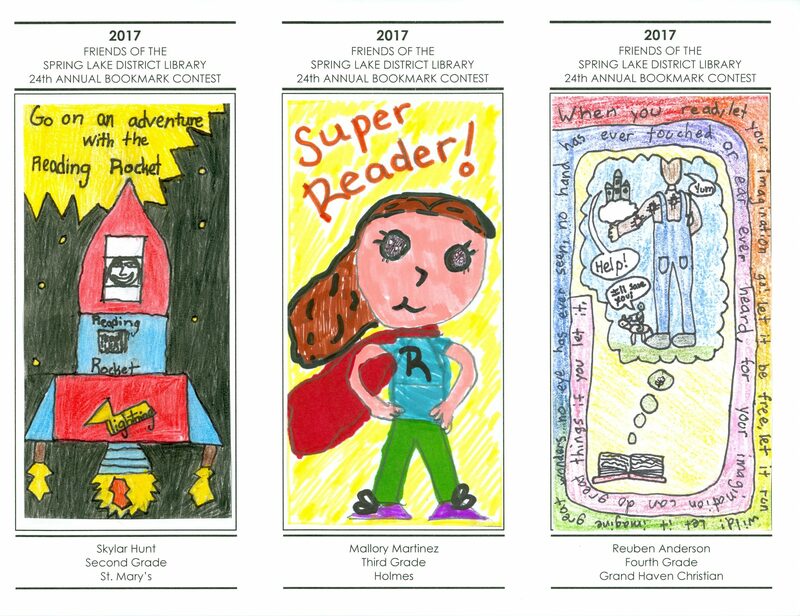 The theme of the contest was ‘Adventures in Reading.’ Entries were due by October 21, 2017, and the Awards Ceremony featuring special guest author and artist Aaron Zenz is on November 11, 2017 at 2pm. 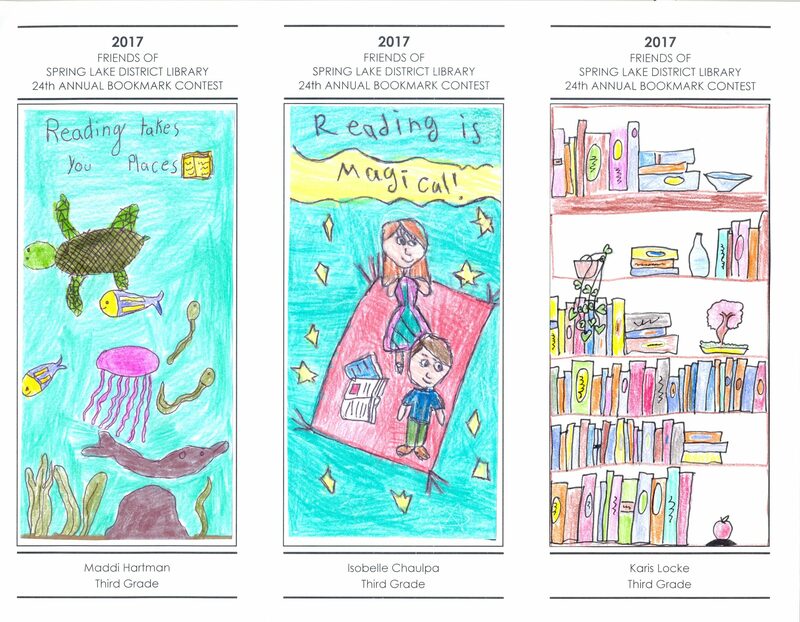 The winners’ bookmarks will be available at the Spring Lake District Library starting on November 11. 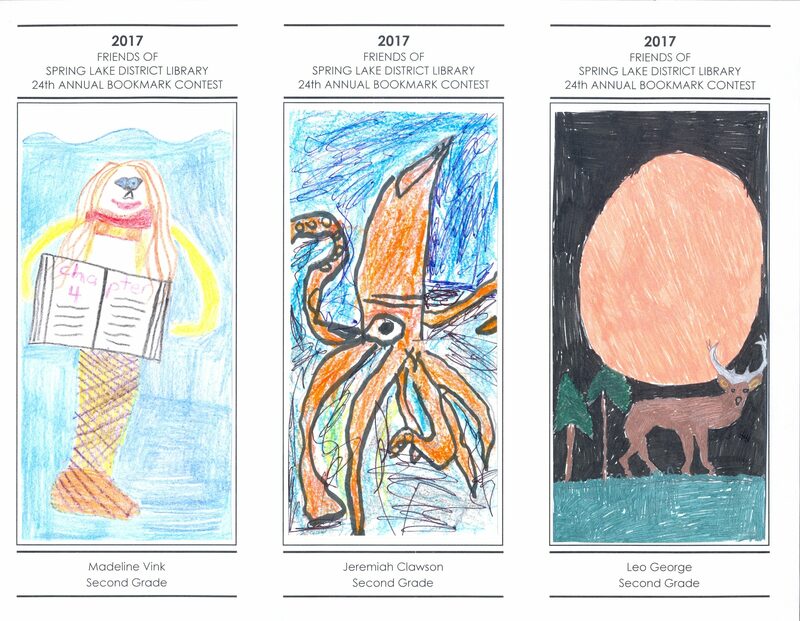 You can see all the winners and honorable mentions below.